Nothing is more freely chosen than the good. People always live badly today; they only live well tomorrow. Why do you seek treasure far away, when it is nearby, indeed within yourself? Labor so that you may be good and shine with beauty; suddenly all things are good and shining with beauty for you. For God draws the desire of the mind to Himself by filling it with beauty, and by drawing desire to Himself he fulfills it. Nothing is truly good or beautiful in the house of that man where all things seem good and beautiful before himself, that is before the soul. Neither will prosperous fortune ensnare us, nor adverse fortune slay us. But, insofar as we shall be cleansed, so shall we be serene; insofar as we shall be serene, so shall we shine. This century, like a golden age, has restored to light the liberal arts, which were almost extinct: grammar, poetry, rhetoric, painting, sculpture, architecture, music ... this century appears to have perfected astrology. In the truths of the many doctrines of the virtues, there is one supreme truth, and the invisible light of this truth is the supreme beauty of the soul. In this way we love the likeness of God in our souls. When we speak about Love, you should understand this as meaning the desire for beauty. For this is the definition of love among all philosophers... The purpose of love is the enjoyment of beauty. Let us, I beg you, nourish and increase the spirit with spiritual food, so that it may at length become mighty and give small regard for physical things, as though they were worth very little. If by nature the mind desires certain things, we should acquire them. And certainly, in acquiring them, the soul would at some time be fulfilled by them, either wholly or in greatest part. But the more we acquire mortal things from all sides, by so much the more is the appetite of the soul inflamed. People always live badly today; they only live well tomorrow. For the sake of ambition they strive against each other with evil deeds, but the path to glory would be easier to tread by doing good to one another. Although they always speak evil, they hope to be well spoken of themselves; although they do evil, they hope to receive good. We proclaim that we are the authors of good, but that God is the author of evil. Mortal men ask God for good things every day, but they never pray that they may make good use of them. They want fortune to wait upon their desires, but they are not concerned that desire should wait upon reason. They would like all their household furniture down to the least article to be made as beautiful as possible, but they are hardly ever concerned that the soul should become beautiful. They diligently seek out remedies for bodily diseases, but neglect the disease of the soul. They think they can be at peace with others, yet they continually wage war with themselves. The ascent begins with the beauty of the body, for even this beauty is divine in origin; that is, we love the shadow of God in bodies. The danger is that the soul is so easily seduced by the beauty of the body, as Narcissus was seduced by his own reflection in the flowing water. When the soul tries to hold on to this image, it falls into the body and, flowing away, is lost, as Narcissus was when he tried to embrace his own reflection. Therefore the ascent begins with the conscious recognition that no mortal, embodied beauty can be perfect, for each person is beautiful in some respects but not in others. Thus we seek a more perfect beauty than is possible in any body. The second stage is accomplished by constructing, through the soul's powers, a concept, the ideal of human beauty, perfect in all respects. In this way we abstract away from the inherent imperfections of matter and space, and by the soul's sequential operations create a moving pageant of images. Since the soul provides the elements of beauty from which this perfected human Form is created, the soul must be honored even more highly than this ideal human form, for the creator is admired and loved more than its creation. Thus we turn inward to learn to love the soul, which is the fountainhead of this ideal beauty. We may direct our soul's power of choice either downward, toward the body, or upward, and thereby rise into our Angelic Mind. If we direct it upward, then we escape from time and seek the Forms in their eternal, unchanging multiplicity (for they are distinct from one another, and therefore have number). In the Forms the mind comes to a state of rest, which is more perfect than motion, and achieves stability and tranquility. This is the full actuality of intelligence (which was partially potential in the lower stages), for all things will be understood from the perspective of eternity. The Forms are illuminated by the light of a single truth, which is refracted into different colors in the various Forms. This unitary wisdom is the beauty of the Angelic Mind, which is greater than the beauty of the soul. Thus we love the image of God in the Angelic Mind. In the final stage we rise above the multiplicity of the Forms to their one source, which exists beyond space, time and number. We are illuminated by the simple light of the One Itself, as all the colors coalesce into the colorless brilliance of the sun. The One is infinite, for it is not limited, mixed, divided or incomplete in any way. It is an infinite Beauty and an ultimate Good, which therefore calls forth the greatest love. Thus we may come to love God Himself. What therefore is to be done, so that we may be of good strength and good vigilance? Life for us should straightway be turned tight round in the opposite direction. Those things which we have learned from many should be unlearned; in having to learn which, we have up to now ignored our own selves. Those things left undone should be learned; the which having been ignored, we cannot know ourselves. What we neglect should be esteemed; what we esteem should be neglected. What we flee from, should be borne; what we pursue should be fled. For us the smile of fortune should bring tears; and the tears of fortune should bring a smile. Among philosophers he first turned from physical and mathematical topics to contemplation of things divine, and he was the first to discuss with great wisdom the majesty of God, the order of demons, and the transformations of souls. 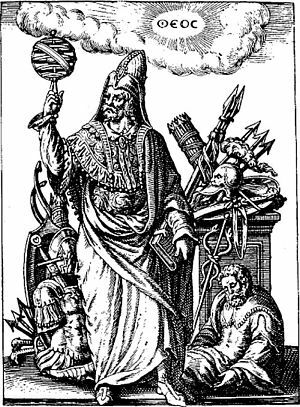 Thus, he ( Hermes Trismegistus) was called the first author of theology, and Orpheus followed him, taking second place in the ancient theology. After Aglaophemus, Pythagoras came next in theological succession, having been initiated into the rites of Orpheus, and he was followed by Philolaus, teacher of our divine Plato. In this way, from a wondrous line of six theologians emerged a single system of ancient theology, harmonious in every part. Why do we think love is a magician? Because the whole power of magic consists in love. The work of magic is the attraction of one thing by another because of a certain affinity of nature. But the parts of this world, like the parts of a single animal, all deriving from a single author, are joined to each other by the communion of a single nature. Just as the brain, lungs, heart, liver and the rest of the parts draw something from each other and sympathize with any of them when it suffers, so the parts of this great animal, that is all of the bodies of the world, similarly joined together, borrow and lend natures to and from each other. From this common relationship is born a common love; from love a common attraction. And this is the true magic. 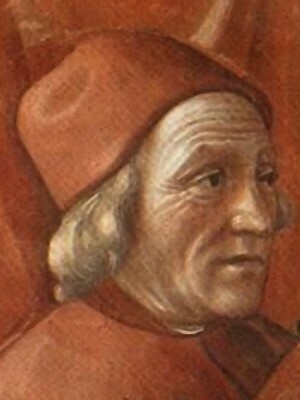 The second crucial figure is Marsilio Ficino (1433–99), whose talents were discovered around 1460 by the ruler of Florence, Cosimo de’ Medici. Cosimo had met Plethon during the time of the Council, and had been impressed by his advocacy of Plato. A manuscript with Plato’s complete dialogues had arrived from Byzantium in the meantime, and Ficino was ordered to translate them into Latin. The task was finished in 1468, and Ficino went on to summarize the essence of Plato’s philosophy in a commentary on the Symposium titled De amore, presenting it as eminently compatible with Christian truth. With these and other seminal works, Ficino laid the groundwork for a large-scale Renaissance revival of Platonism – or more precisely, Platonic Orientalism. During the rest of his career he translated a whole range of later Platonic authors as well, and published profound studies in which Platonism was presented as the key to Christian revival and renewal. Early on, during the early stages of his Plato translation, he also translated the Corpus Hermeticum, from an incomplete manuscript that contained its first 14 treatises. It was published in 1471, so that contemporaries now had direct access to what was believed to be the work of the most ancient Egyptian teacher of wisdom, Hermes Trismegistus. Ficino himself believed that the Persian Zoroaster, with his Chaldaean Oracles, was even older and hence more authoritative; but in his later work, notably his influential De Vita Coelitus Comparanda, he highlighted Hermes as a teacher of astral magic that could be used for the benificent goals of medical and psychological healing. Marsilio Ficino was a influential Italian humanist philosopher, scholar and catholic priest. He is widely acknowledged to be one of the most important philosophers in the early stages of the Italian Renaissance.